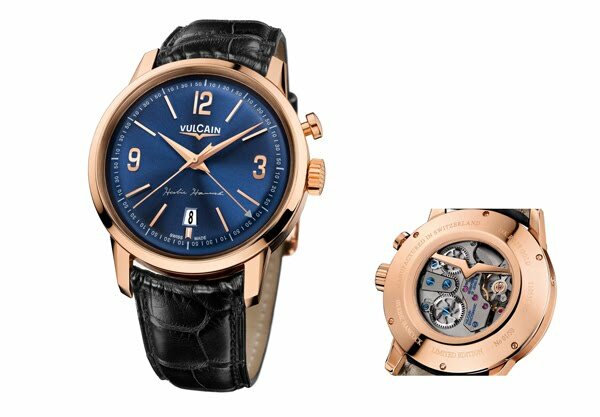 Watch manufacturer Vulcain is establishing an exclusive partnership with pianist Herbie Hancock: an encounter between two legends that has found its first expression in the creation of two limited-edition 50s Presidents’ Watch models dedicated to the brilliant pianist. Herbie Hancock is a jazz chameleon who has made his way through changing styles and eras while consistently adding his own touch of musical genius. A gifted musician who played with legendary figures such as Miles Davis and Chaka Khan, a brilliant performer who has earned multiple distinctions including 12 Grammy Awards, Herbie Hancock has recently agreed to share with Vulcain his love for the blue notes of jazz through an exclusive partnership. A specialist of mechanical alarm watches thanks to its iconic Cricket movement, the Manufacture in Le Locle is celebrating this new partnership by creating a limited-edition Presidents’ Watch model. Thanks to this alliance with Herbie Hancock, the watch company is pursuing its support for the world of culture and thereby strengthening its presence in the world of jazz – the global musical movement born in the United States and which remains a perpetual source of experimentation and renewal, very much like that of Fine Watchmaking. With their unique midnight-coloured dials, the two 18K rose gold and steel limited series will provide a tasteful accompaniment for “blue mood” enthusiasts. 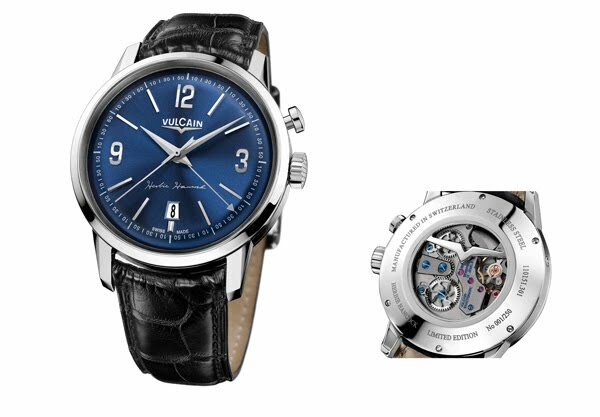 Embodying the free-spirited spirit of jazz and its penchant for exploring uncharted territory, the “Herbie Hancock” 50s Presidents’ Watch by Vulcain features a sunburst dial in an entirely original intense shade of blue. Equipped with the legendary mechanical hand-wound Cricket V-16 movement, the timepiece displays the hours, minutes, seconds and date, as well as the alarm. The case measures 42 mm in diameter for a perfect fit on the wrist, and its back is engraved with the name of the celebrated musician. The “Herbie Hancock” 50s Presidents’ Watch is available in two limited editions: one in 18K rose gold issued in a series of 50; and another in steel in a 250-piece limited series. Each of the watches in this Herbie Hancock special edition is also accompanied by a certificate bearing his signature and authenticating the limited-edition production of each of the models, along with an album by the artist. Born in Chicago in 1940, Herbie Hancock was 11 years old when he first appeared on-stage, performing Mozart’s concerto n° 5 on the piano and accompanied by the Chicago Symphony Orchestra. Equally fascinated by both science and electronics, he graduated from university with two degrees: one in music and another in electrical engineering. This naturally eclectic mind-set drew him to the most inspired researchers in the field of jazz. Miles Davis in particular asked him to join him for sessions that would leave an indelible imprint on jazz music history. Eager to explore new avenues, Herbie Hancock subsequently founded his own group, the Headhunters. Their first eponymous album became the first platinum record in the history of jazz, and the “Chameleon” hit was an instant legend. Herbie Hancock’s projects were to have a profound influence on jazz and on American music in general. He is indeed considered one of the prime promoters of funk, an instigator of rap, as well as a source of inspiration for R&B artists. He even released the Future2Future album in 2001, merging technology and music. By associating computers with turntables and legendary voices, he laid a new milestone in the quest for contemporary sounds. Alongside his professional commitments, Herbie Hancock also supports several charitable causes pursuing a social, musical or medical mission. In 2011 at a ceremony in Paris, Herbie Hancock was named UNESCO Goodwill Ambassador for the promotion of intercultural dialogue.